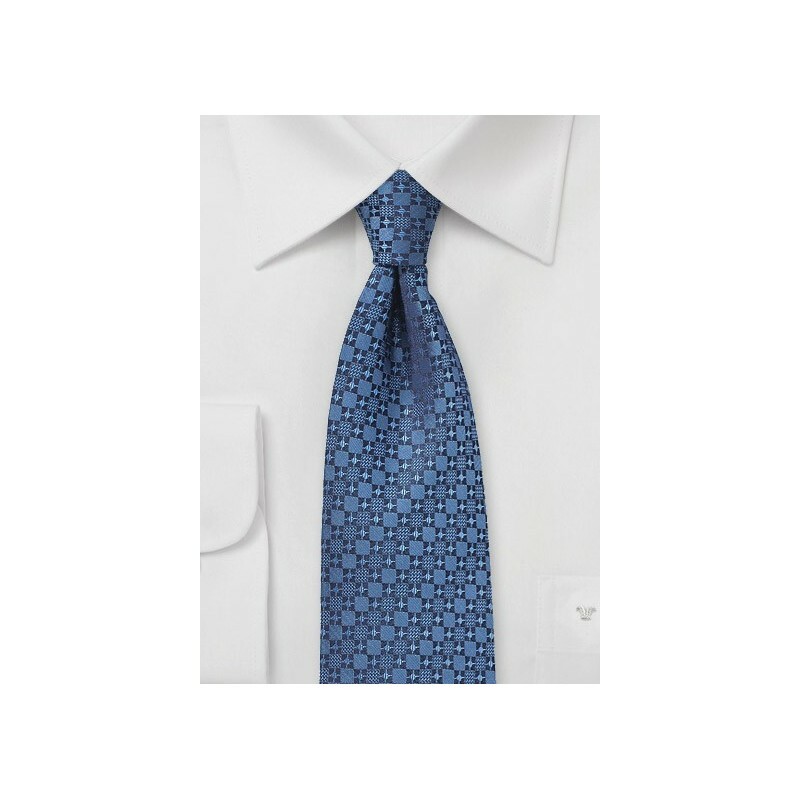 Is blue your favorite tie color? Then you will most certainly love Chevalier's new "Indigo Collection" - an assortment of monochromatic denim blue ties featuring very elaborate woven patterns. 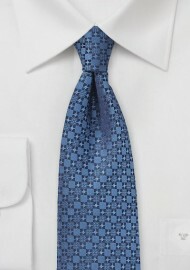 The tie shown here is woven from finest silks and displays a pattern of geometric checks. A fantastic pick for any light gray suit that is either solid, has pin stripes, or subtle window-pane checks. Handmade from pure silk.